Campanella, the future Hall of Famer, played catcher for the Brooklyn Dodgers from 1948 to 1957. A 1958 car accident left him paralyzed and confined to a wheelchair. A year later, Topps produced a special baseball card in his honor, titled "Symbol of Courage" .The front featured two photos. One was in color, showing Campanella in street clothes and sitting in his wheelchair. The other, an older, smaller black and white shot, pictured "Campy" in uniform during his playing days. A message from then National League president Warren Giles was on the back of the card. In 1974, CBS broadcast "It's Good to be Alive", a TV movie based on Campanella's life. I enjoyed the film, and found Campanella's adjustment to life following the accident to be inspirational. So, I purchased "Symbol of Courage" at a baseball card show in the mid 1970s. Due to its age and uniqueness, the card is considered scarce today. On the Beckett.com pricing guide, as of September 2014, the card goes from $15.00 in poor condition to $600.00 in mint condition. In 1974,the year Hank Aaron broke Babe Ruth's home run record, Topps featured "The Hammer" in the first six cards of their newest set. Number one in the group showed a photo of a smiling Aaron on the front. 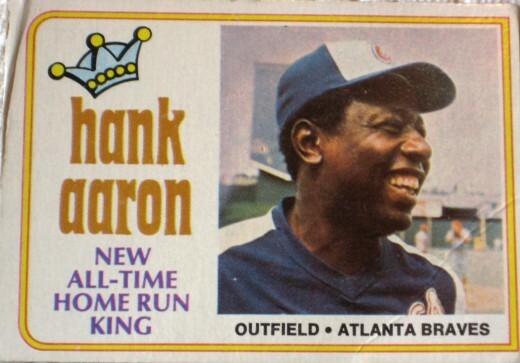 To the left of the picture was a drawing of a crown and the words, "Hank Aaron-New All-Time Home Run King". On the back were his career statistics. Beckett.com puts this card at 2.50 in poor condition to $150.00 mint. 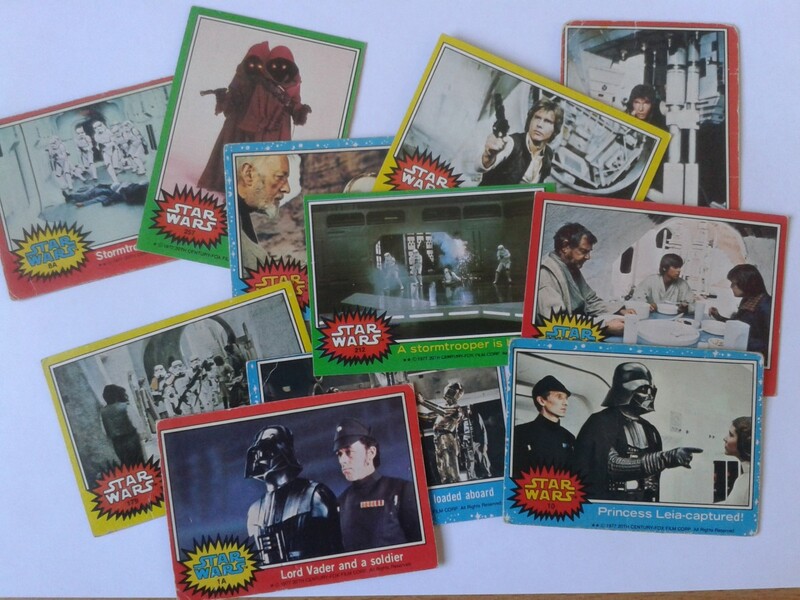 I keep this card and the rest of the 1974 set in a binder made up of individual vinyl pages. Each page features nine pockets to store that same number of cards. While the card doesn't feature a photo of "Hammerin' Hank" hitting the then record homer number 715 off of Dodger pitcher Al Downing, it still brings back fond memories of that night. 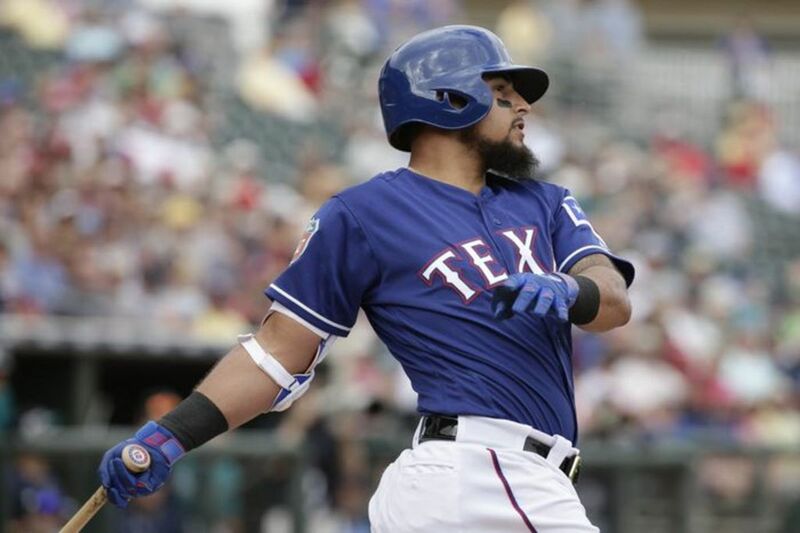 It's also a reminder of a time when there was no question about whether baseball's home run champ did or did not take steroids or human growth hormone. Being Jewish, Koufax has carried a special place among my favorite athletes over the years. I've always admired the fact that he refused to pitch the first game of the 1965 World Series due to it being scheduled on Yom Kippur. He wasn't necessarily religious, but he still took that stand. Plus, he was such a dominant pitcher, winning the ERA title five years in a row,throwing a no hitter every year from 1962 to 1965 (including a perfect game), and having three 25 win seasons (1963, 1965 and 1966). I bought this card at baseball card show, in approximately 1974. Beckett.com lists a a mint copy of the Koufax card going for $600. 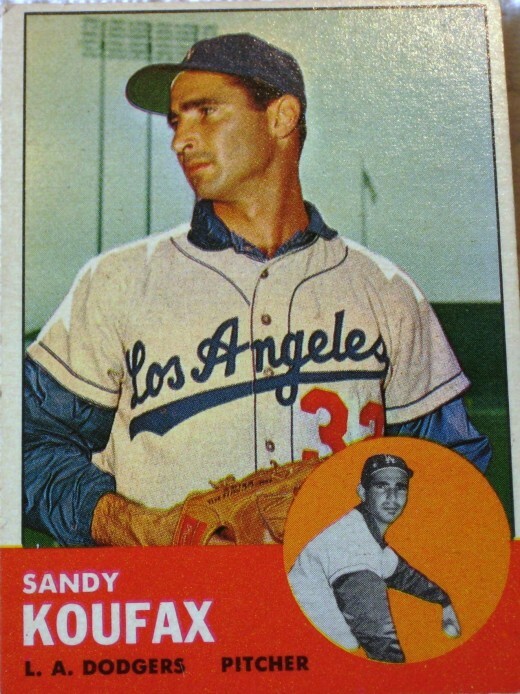 Like the Aaron card, I store this Koufax one in a pocket of a vinyl page. I have no desire to sell it. I grew up in the San Francisco Bay Area and was fortunate as a child to see the legendary "Say Hey Kid" Willie Mays play for the Giants. Back then, I'd buy packs of baseball cards, with the pink stick of bubble gum inside, at the late, lamented five and dime stores like J.J. Newberry's and Woolworths. 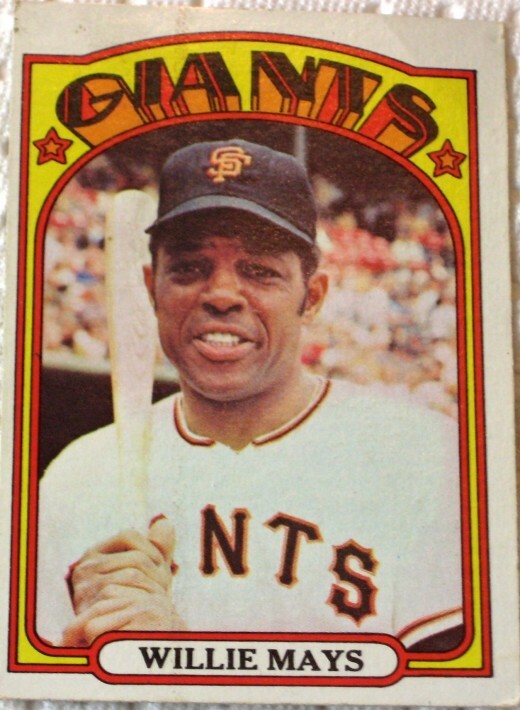 So opening a baseball card pack in Spring 1972 and finding a Mays card inside made for a great day.This card was from his last season with the Giants, and has a semi-pop art look to it. Beckett.com says a mint 1972 Mays Topps card can sell for $120.00. 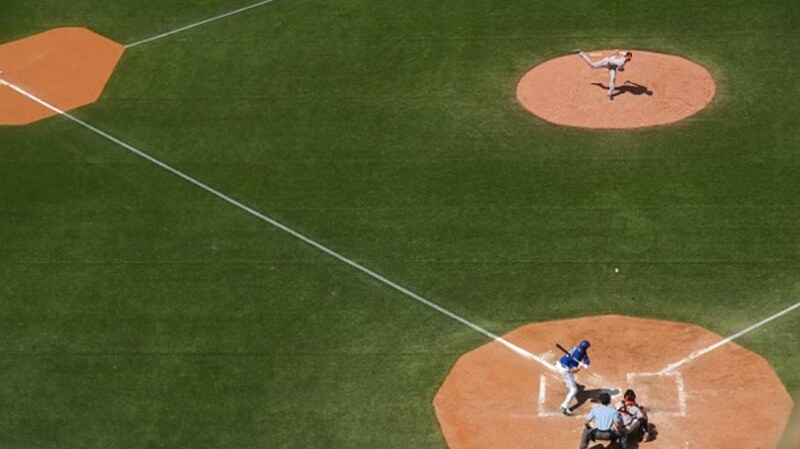 Grantham played for the Cubs, Pirates, Reds, and Giants in a 12 year major league career. I haven't heard his name mentioned alongside Babe Ruth, Lou Gehrig, Carl Hubbell, and others of the era. Still, he must have been pretty good to play over a decade in the big leagues. This 1933 card is the oldest in my collection. 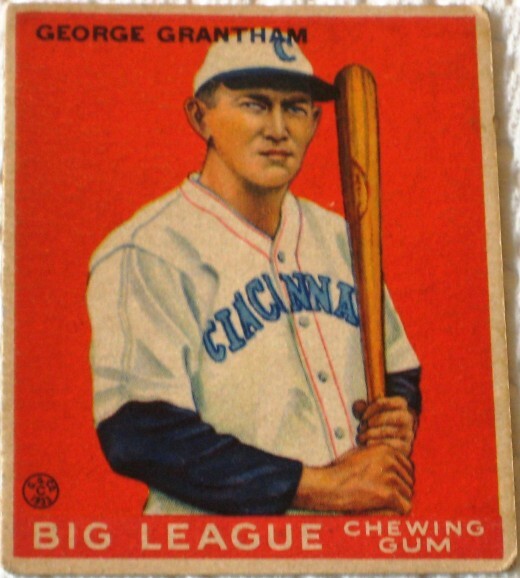 Goudey was one of the first companies to sell baseball cards and bubble gum together in a pack. What's unique is that Grantham's image on the card comes from a portrait or painting, not a photograph. The cardboard stock is a little thicker than other baseball cards, too. I purchased the card via mail order around 1975. Beckett.com puts this card’s worth at $15.00 in good condition to $360.00 in mint condition. Hard to believe it's been 25 years since the Quake and the Giants vs. A's World Series. I worked in radio then, our station was carrying the World Series and I had the game on the air (board "opping" it), and I remember stuff happening and the announcers were flabbergasted and I had to break in and voice why were going back to local programming (although it wasn't local, really all satellite music -- even then) and I had to do newsbreaks about the earthquake because we'd been on the air with the game. Yikes. Thanks for the nice comment about the hub, Teri. I appreciate it. Ken Holtzman and Mike Epstein were the two Jewish members of the Oakland A's that I remember from that time. That must have been fun "being the reporter" with your stepmother for the Cleveland Jewish News. BTW as I'm sure you know, Al Rosen, one of the greatest Jewish Cleveland Indian players, later went on to become President/CEO of the Yankees and Astros. 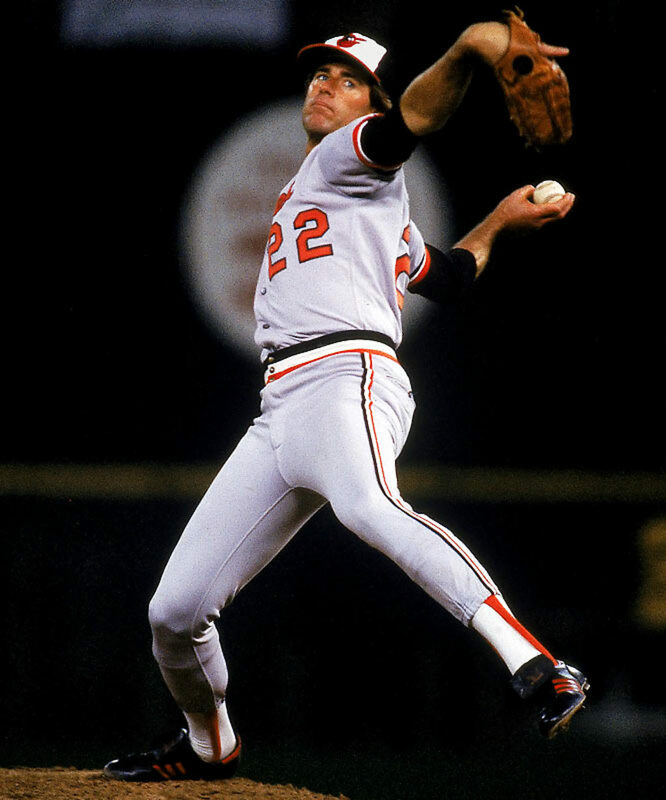 In 1985, he was named president/general manager of the San Francisco Giants. He was the GM when the Giants played the A's in the 1989 "Earthquake" World Series. Love your hub. 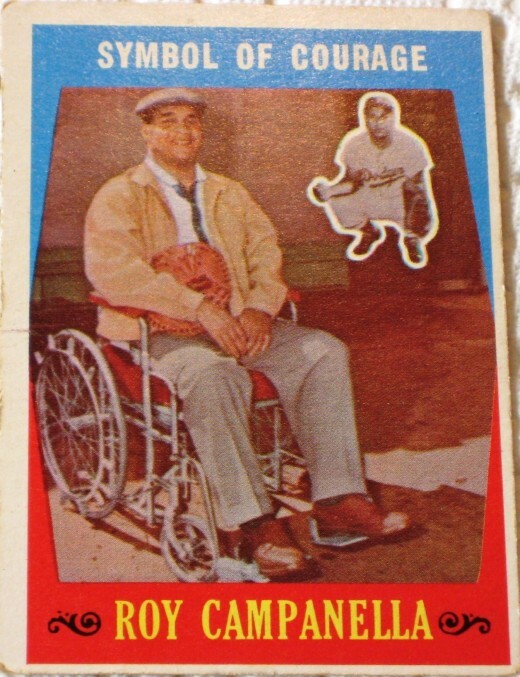 I have the Roy C. book, one of my favorite autobiographies and one of the 1974 Hank Aaron cards, too, but I don't think it's this particular one. 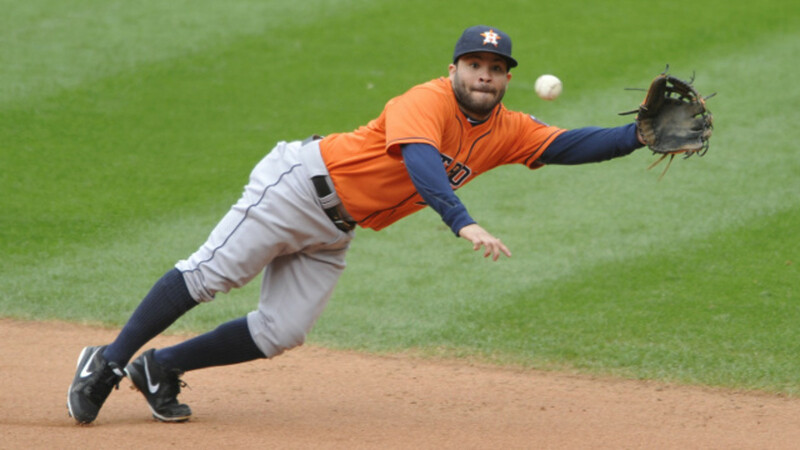 As a nice Jewish girl from Cleveland, I always find interest in Jewish ballplayers (I was able to meet a few from the Oakland A's in the 1970s when I went with my stepmother to do write-ups in the Cleveland Jewish news and she let me "be the reporter." Anyway, great hub on great all-time greats!